After becoming an aging society in 1999, China’s aging policy has experienced rapid change, from partial to comprehensive, from single to multiple department collaboration, from basic to advanced development process. In 2013, after the no. 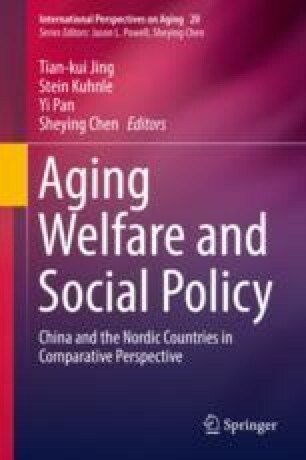 35 Document of the State Council published, Chinese aging policy completed the “top-level design.” At present China’s aging policy has already formed, which includes land, finance, personnel training, institute management, government purchase services, private capital intervention, preferential tax policies, etc. Relatively complete policy system, preliminary sorting out of the government, market and society liability, to fully mobilize social activity and endogenous power, developing endowment services provide the policy basis.